Precious metals futures rose modestly in their start to the new trading week on Monday. They gained support, opined analysts, as the U.S. dollar weakened. Gold for December delivery tacked on $7.10, or 0.6%, to finish at $1,294.40 an ounce on the Comex division of the New York Mercantile Exchange. The settlement is the highest since Nov. 17. "The charts show that the dollar rebound seems to have failed and, on the other side of the seesaw, gold seems to be bouncing higher," MarketWatch quoted Brien Lundin, editor of Gold Newsletter, told MarketWatch. "This is happening earlier than in the previous two years, so traders may be factoring in the prior history and betting early." Gold futures traded from a low of $1,286.20 to a high of $1,299. They declined 0.7% last week. Meanwhile, silver for December delivery gained 2.8 cents, or about 0.2%, to settle at $17.02 an ounce. Silver futures ranged from $16.98 to $17.17. They dropped 2.2% last week. January platinum added $5.50, or 0.6%, to $950.80 an ounce, trading between $940.20 and $952.90. Palladium for December delivery advanced $7.35, or 0.7%, to $1,001.05 an ounce, ranging from $987.80 to $1,002.70. Last week, platinum slipped 1% while palladium inched up roughly 0.1%. Gold gained $4.40, or 0.3%, to 1,294.90 an ounce. Silver rose 5 cents, or 0.3%, to $17.10 an ounce. 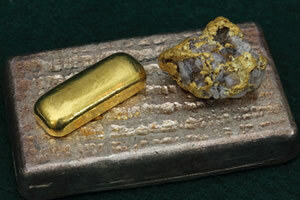 Last week in London bullion prices, gold added 0.5%, silver and platinum each shed 0.2%, and palladium rose 0.4%. United States Mint bullion sales advanced by a combined 3,000 ounces in American Eagle and Buffalo gold coins and by 50,000 ounces in American Silver Eagles. may silver start to rise and shine someday soon. ”’just a dream i* had” ioi. I’m waiting for silver prices to fall so that I can buy. no, it’s my cookie jar’ no 5% to 8% for a savings account no more. Bring back the good % rates and still have good low rates for buying homes & low refinance rates.